Storing Antique Textiles? Try These Storage Solutions! 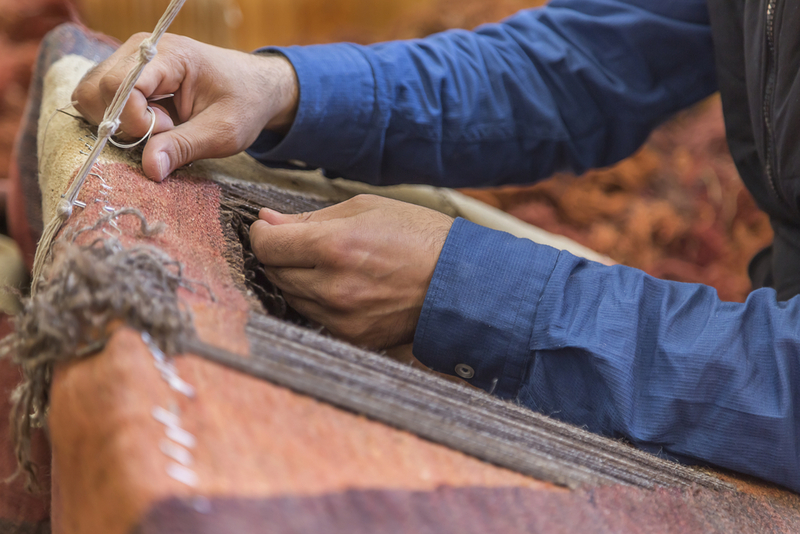 Whether it be a rug, tapestry, or an article of clothing, antique textiles should always be handled with care. As fabric ages, it can become incredibly delicate and susceptible to damage. When you are storing an antique textile, it’s important that you do everything you can to prevent damage and maintain its quality. To get started, read these storage solutions and tips from Affordable Family Storage in Omaha. Climate-controlled storage units are the ideal storage solution for any antique item. When exposed to high levels of heat or humidity, antique textiles become susceptible to mold and mildew which can permanently damage the fabric. If the humidity is too low, the fabric can dry out. Therefore, it’s best to store fabric at relatively consistent temperatures and controlled humidity levels. At Affordable Family Storage, we offer climate controlled units in a variety of sizes. Many people assume that they should wrap textiles in tissue paper or another form of wrapping paper to protect them from dust. Unfortunately, this could not be further from the truth. Most wrapping papers tend to be acidic, which can be incredibly damaging to textiles. Instead, wrapping your textiles in a cotton cloth is the best storage solution. We recommend using something simple and affordable, like an old bed sheet. For maximum preservation, it’s best to keep antique textiles away from light whenever possible. Overexposure to sunlight can damage the fabric and cause the colors to fade. Luckily, a climate-controlled storage unit protects your items from sunlight. Some people assume that air-tight containers are the best storage solution for fabric, but this is simply not true. Instead, the fabric should be given the opportunity to breathe and experience air movement. This will decrease your chances of dealing with mold, mildew, and foul odors in the future. Periodically, you should visit your storage unit and air out the fabric. If textiles are folded in the same position for too long, their fibers can gradually break down. The best storage solution for textiles, especially rugs and tapestries, is to lay them flat. Folding them for long periods of time can lead to damage, so if possible, you should lay the fabric flat with minimal folds. Affordable Family Storage in Omaha, Nebraska offers climate controlled storage solutions for a great value. Stop by our 90th Street location and reserve your unit today!